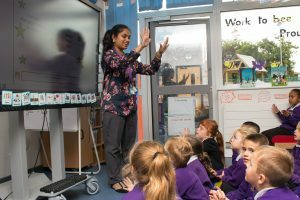 Psychology for Education is a new module for Real Training’s Masters in SEND programme, led by Senior Educational Psychologist Jalak Patel. This 30-credit Masters module will give delegates in-depth theoretical knowledge and actionable practical skills in educational psychology, suited to all learning settings and age groups. Understand the individual differences of learners within a learning environment and how to adapt pedagogy to support these. Explore and examine how positive psychology can impact on educational settings. Understand the theories underpinning their own teaching approaches and “core values” and reflect on how these can be effectively harnessed to further develop their pedagogy. Theories of Cognitive Psychology that can be applied to learning and teaching approaches that impact on student attainment and the evidence underpinning them. The inherent variability and diversity of psychological functioning and its significance in the classroom. The theory underpinning Positive Psychology approaches and how these can be applied in the educational setting. Personal Construct Psychology and how this can be applied to pedagogy. Identify links between the theories of psychology and individual needs in the school setting. Carry out a structured observation in order to detect meaningful patterns in behaviour and evaluate their significance. Undertake a small scale piece of research to understand individual differences within the classroom. Demonstrate sensitive awareness of contextual and interpersonal factors in groups and teams of colleagues. Reflect and critically evaluate personal strengths and weaknesses for the purpose of future learning. Undertake self directed study and project management, in order to meet desired objectives. Strand 1: Explores psychology applied to learners. The aims of this unit are to equip the delegate with the knowledge and skills to critically apply cognitive psychology theories to their classroom practice, to explore implementing metacognitive strategies with learners via a small scale piece of classroom based research and to reflect on how pedagogy can be adapted to support individual differences. Strand 2: Explores psychology applied to settings. The aims of this unit are to develop delegates’ understanding of Positive Psychology with specific reference to Character Strengths; application of these strengths to self and others; and how they relate to positive teaching and learning approaches. Activities are focussed on work with colleagues to establish personal strengths within the team and how these can be utilised to support the learners, teaching team and wider development of the setting. Strand 3: Explores psychology applied to the practitioner. The aims of this unit are to critically reflect on the delegates personal pedagogy and “core values”. The theory underpinning Personal Construct Psychology will be explored in the context of defining views of ‘the ideal teacher’ and the purpose of education for learners. Reflecting on the learning that has happened throughout the course will provide a framework for development of a personal action plan for future professional growth. A diagrammatic overview of the strategies, concepts and theories relating to one area of cognitive psychology, mapping knowledge to practical approaches to support teaching in the classroom. A visual presentation (powerpoint, video, a series of annotated photographs) outlining the process of engaging with a staff group to elicit character strengths and how these underpin the positive aspects of teaching in their school. A reflective analysis incorporating an evaluation of personal and professional development and an action plan for future change and growth. Practice – you will develop your professional knowledge and understanding through practice – it’s the best way to learn. Campus OnlineTM – will support you with content that complements your learning every step of the way. 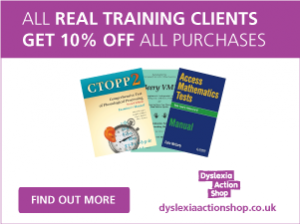 One-to-one learning – study with some of the finest practitioners around and engage with outstanding content and practical activities that truly enhance your professional development.